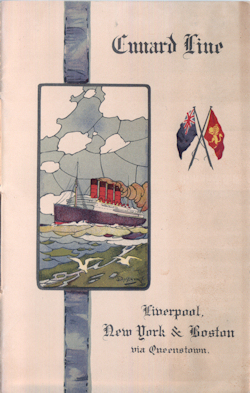 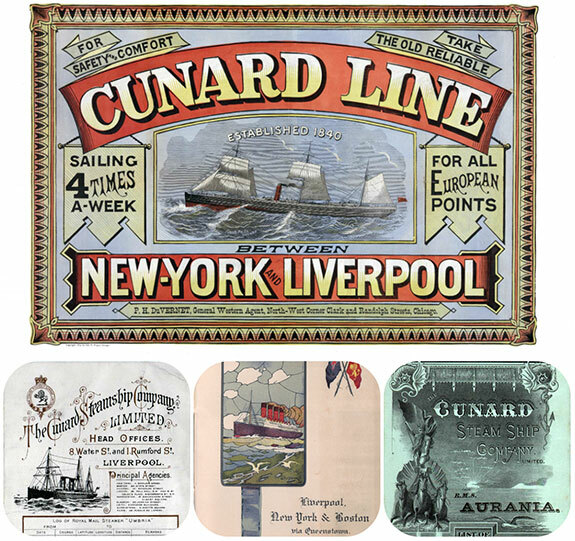 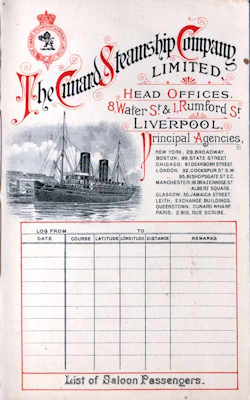 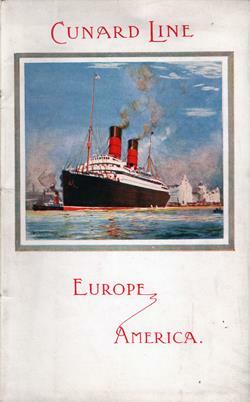 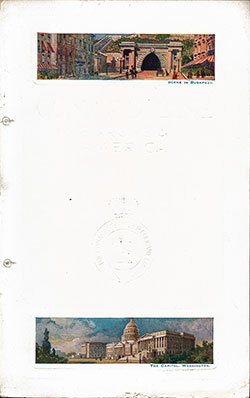 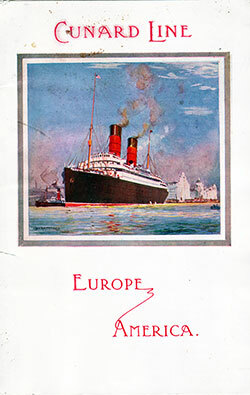 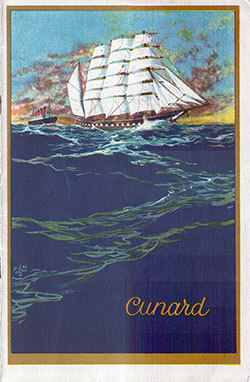 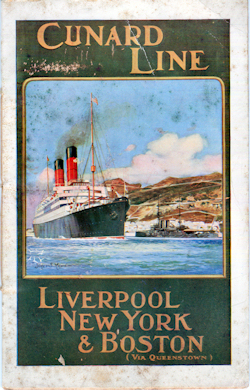 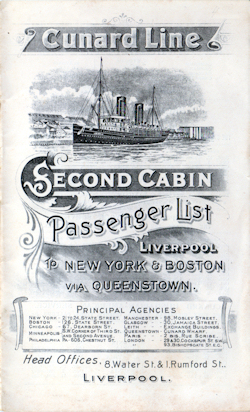 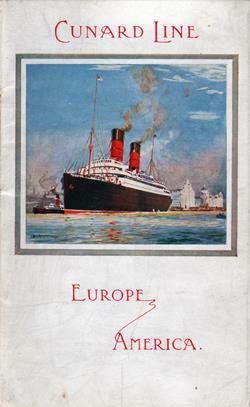 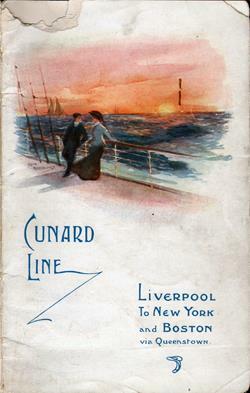 The Cunard Line's main services—New York-Southampton; New York-Liver- pool; New York-London; New York-Bristol; Baltimore- Bristol: New York-Mediterranean; New York-Antwerp; New York-Rotterdam; Boston-Liverpool; Boston-London; Boston-Glasgow'; Philadelphia-Bristol; Philadelphia-London; Montreal-Falmouth-London; Montreal-Bristol; U. K.- Medlterranean; U. K.-Levant and Black Sea; U. K.-French Ports. 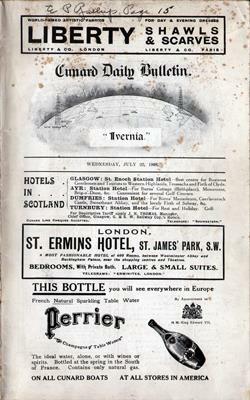 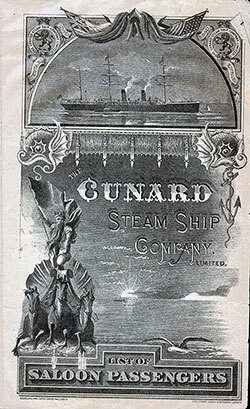 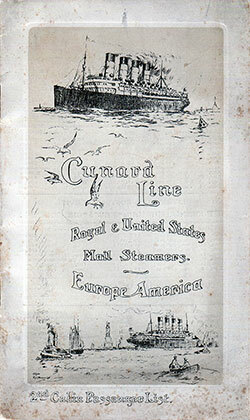 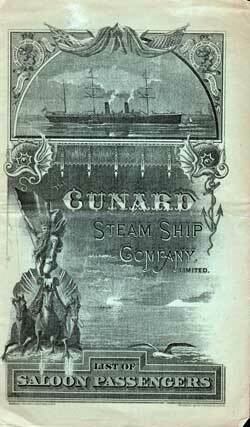 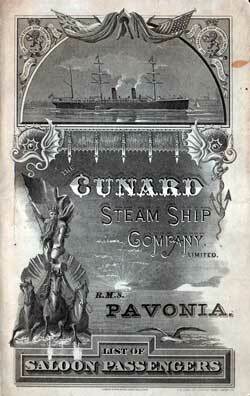 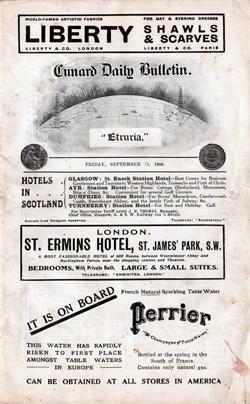 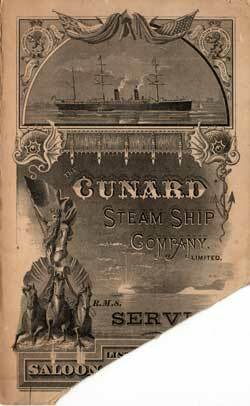 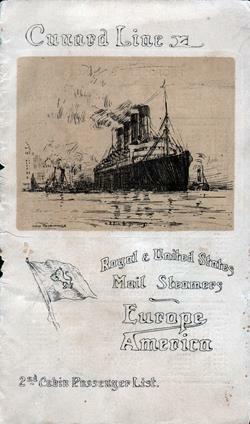 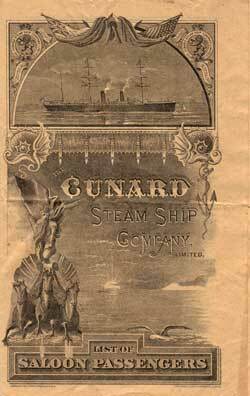 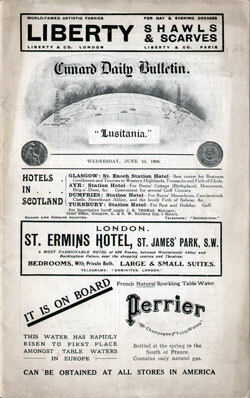 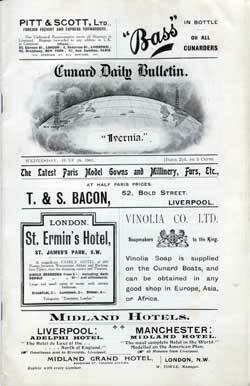 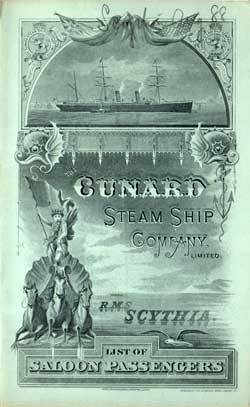 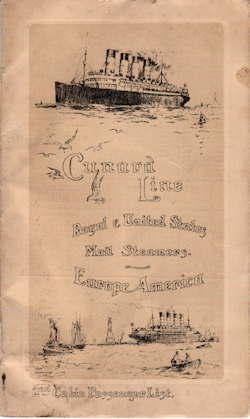 Cunard Line Passenger Lists available at the Gjenvick-Gjønvik Archives that have been transcribed and uploaded. 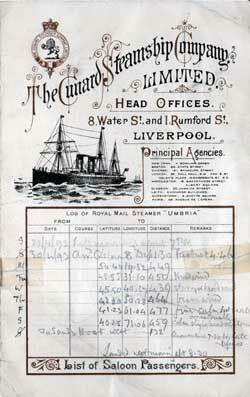 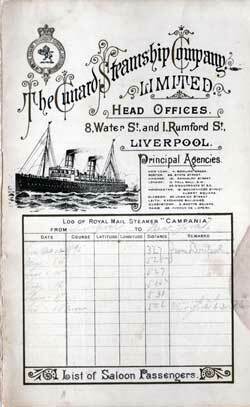 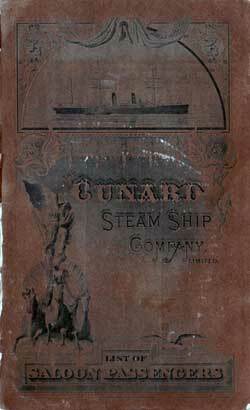 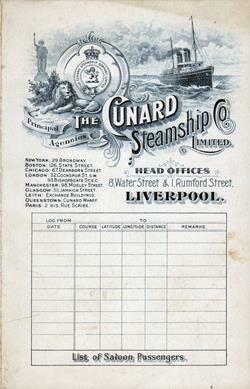 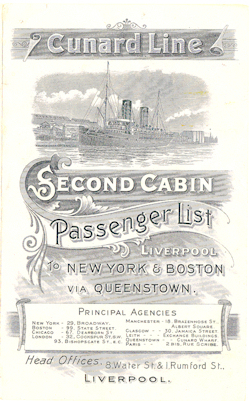 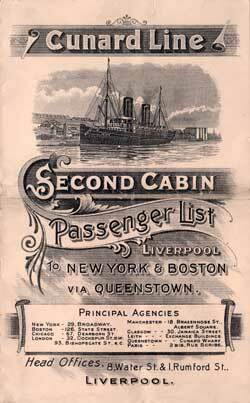 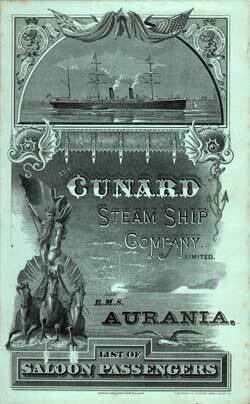 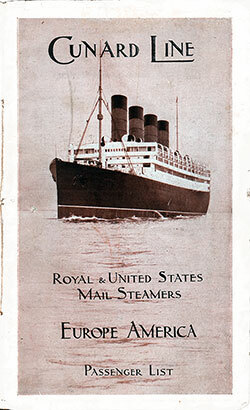 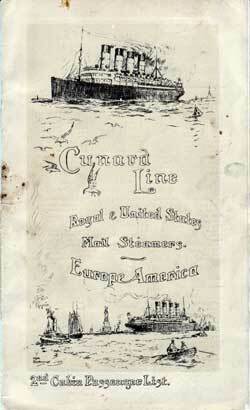 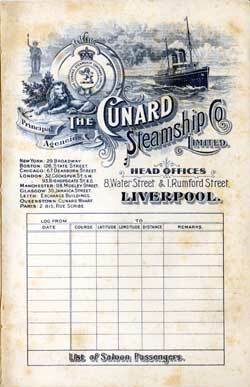 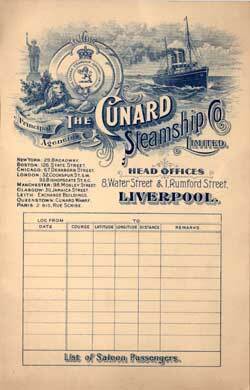 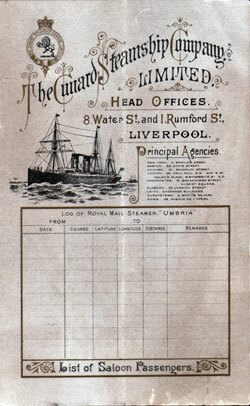 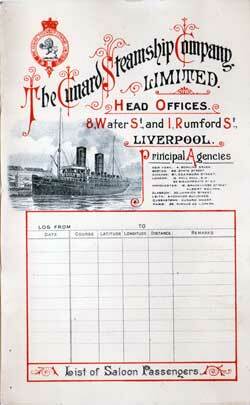 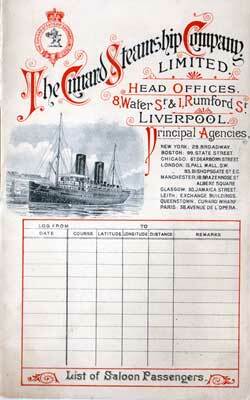 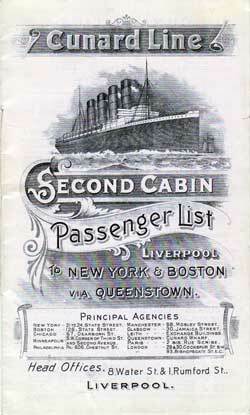 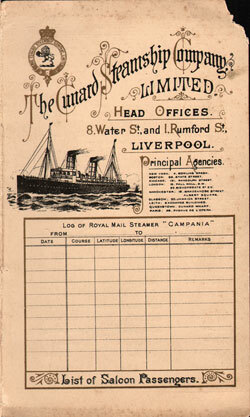 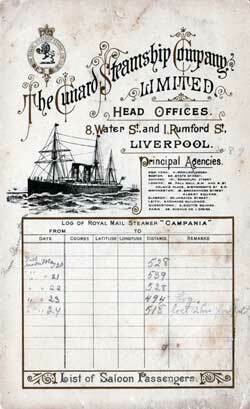 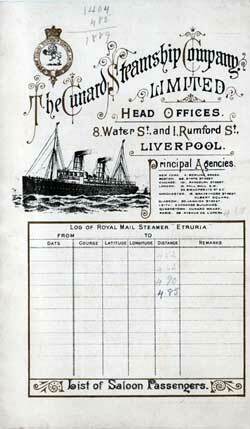 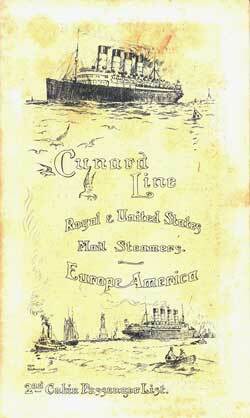 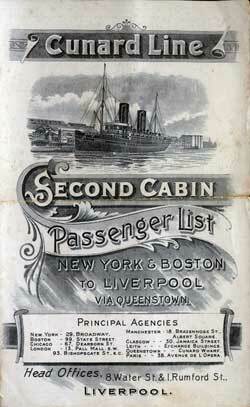 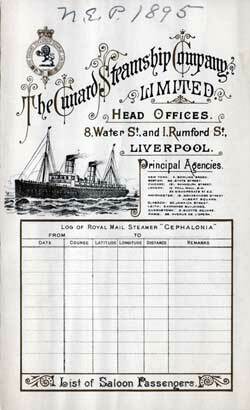 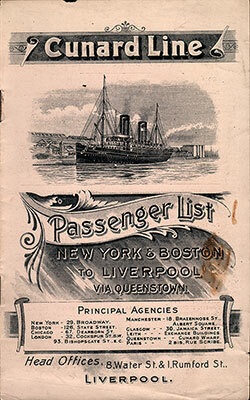 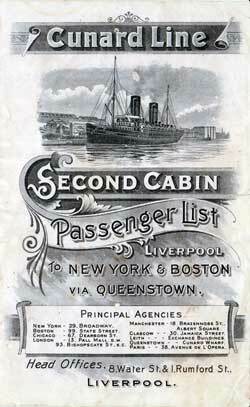 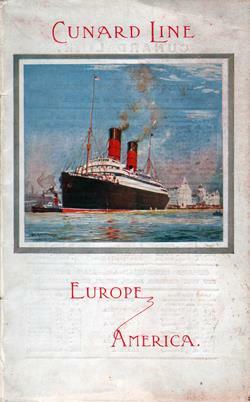 See Description of Archival Records: Cunard Line Passenger Lists for additional information about our collection. 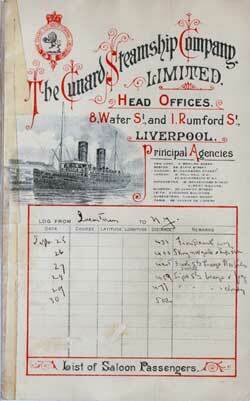 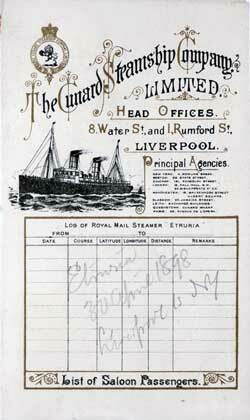 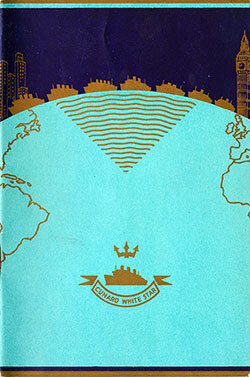 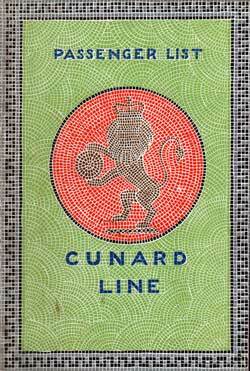 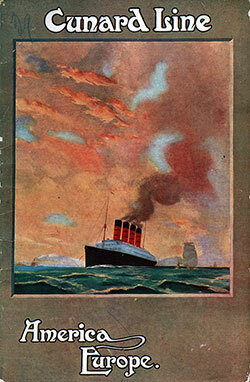 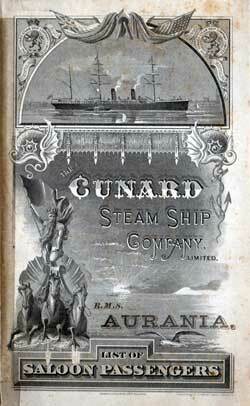 You can view a complete inventory of Cunard Line passenger lists available at the GG Archives on this page. 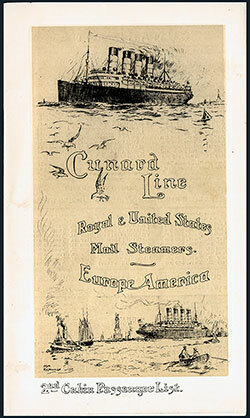 Commander: Captain R. L. Alexander, D.S.O., R.D., R.N.R. 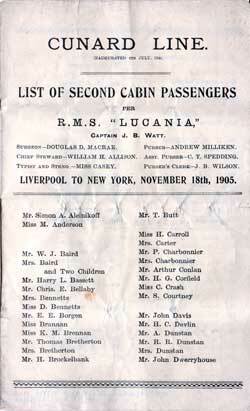 Notable Passengers: Hon. 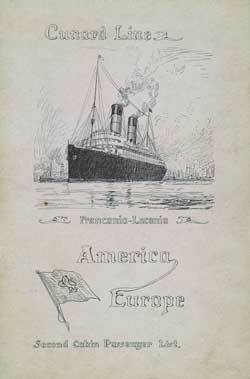 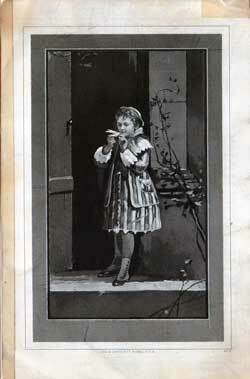 Thomas Ballantyne, Sir John Fowler Leece Brunner, 2nd Baronet, Franklin MacVeagh, Ernest Gaston Joseph Solvay. 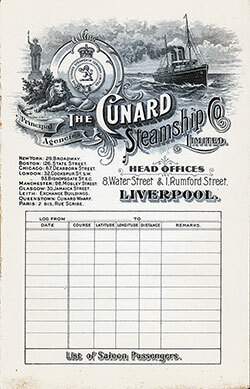 Commander: Captain W. T. Turner, R.N.R.